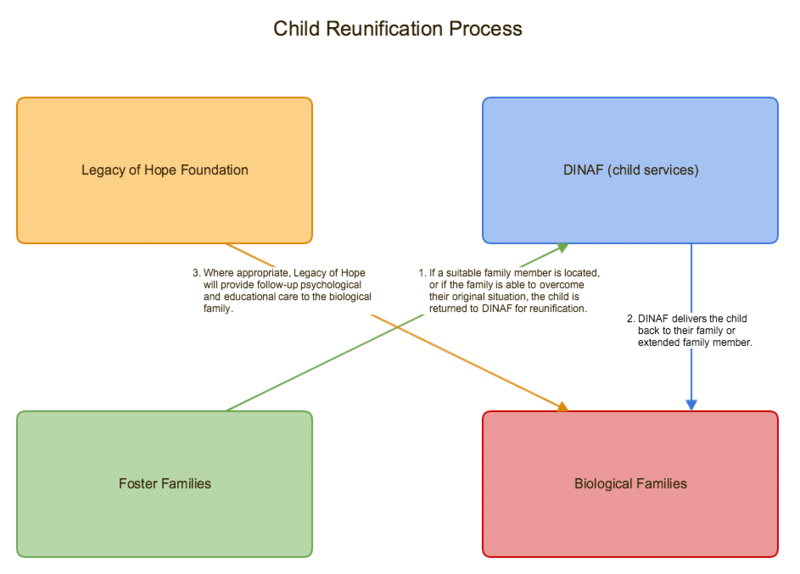 Click the images below to learn how foster care works in Honduras, and the role we play in that process. 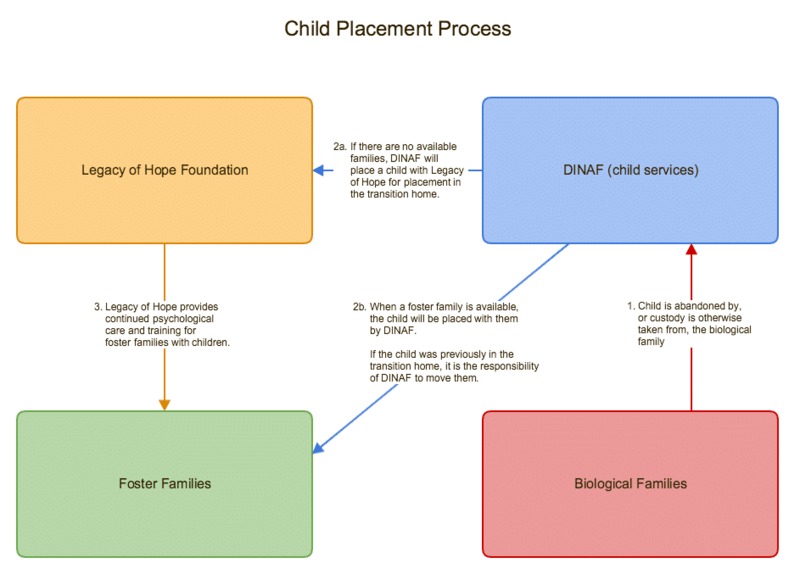 Our foster care model places us in the role of a foster care agency. While it is the role of DINAF (Honduran child services division) to place children in homes, we provide the resources to identify, educate and support these families. Our personal residence serves as the first foster home under our umbrella. The goal is to provide stability and permanency for the children in our care. We use our home as a model of other families who wish to foster as well, giving them a goal toward which they can work. 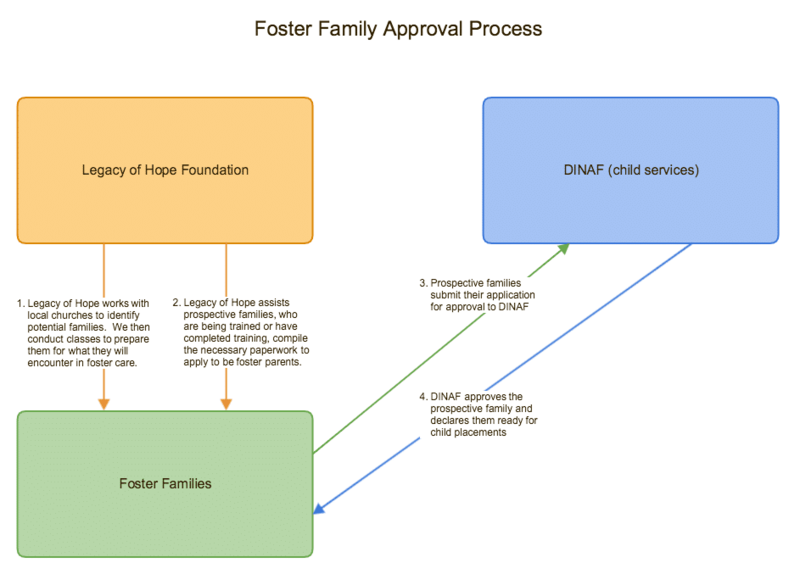 We are working with DINAF (child services) at the national level to establish standardized education and documentation for all foster families in Honduras. We have also been commissioned by DINAF to build a nationwide database to effectively manage foster placements.